Networking is a critical skill in advancing your career. Professor Andrea Baron has worked in publishing for over 20 years, starting her career in book design, and adding experience in consumer marketing and print and digital production. She worked with some of the largest consumer magazine publishers, including Condé Nast, Time Inc., American Express Publishing , The New York Times Magazines, and Ziff-Davis. She has organized and developed digital workflows and production processes for titles such as Vogue, The New Yorker, Bon Appétit, Food & Wine, Travel + Leisure, Family Circle, Fitness, and PC Magazine. In her 10+ years of teaching in the Publishing program, she has been asked lots of advice on networking and job- and internship-hunting.She has been teaching magazine publishing in the program , with the goal of giving students a thorough grounding in the field and bringing them deeper into the industry. She teaches courses in production and design, consumer marketing, and an introduction to magazine publishing. 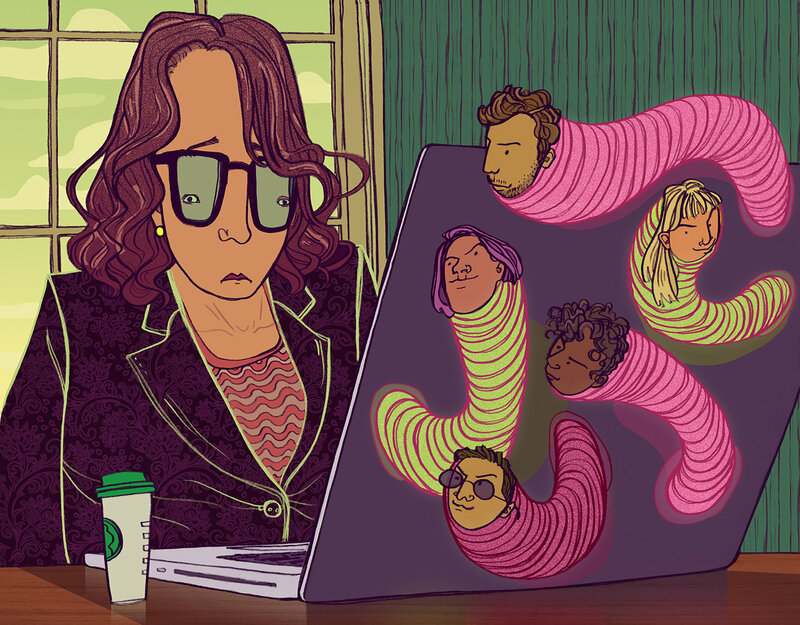 Professor Baron has shared this article, “How Not to Be a Networking Leech: Tips for Seeking Professional Advice”, from the New York Times , which gives a terrific summary of the most effective way to go about networking . She hopes you’ll read it and share it. “So here are some tips to help you avoid becoming a networking parasite. –Walter Isaacson, President of the Aspen Institute and the author of theSteve Jobs, Albert Einstein and Benjamin Franklin biographies.